Its not a regular futuristic story. Its not a regular futuristic love story. Its not a regular story. Spike Jonze takes you on into his imaginative World that has an unforeseen intricacy in its simplicity. Her is a completely different Hollywood experience in quite a while. Set somewhere in the future, Theodore Twombly, played by Joaquin Phoenix, spends most of his time alone after a broken marriage. On purchase of a new operating system much ahead in its behaviour and interface than other operating systems even in that period, Theo develops an unlikely and intriguing relationship with its female voice, Samantha. His divorce papers with Catherine, played by Rooney Mara, still not signed, Samantha starts becoming an integral part of Theo’s life. The uniqueness of the story is not the only good thing about Her. 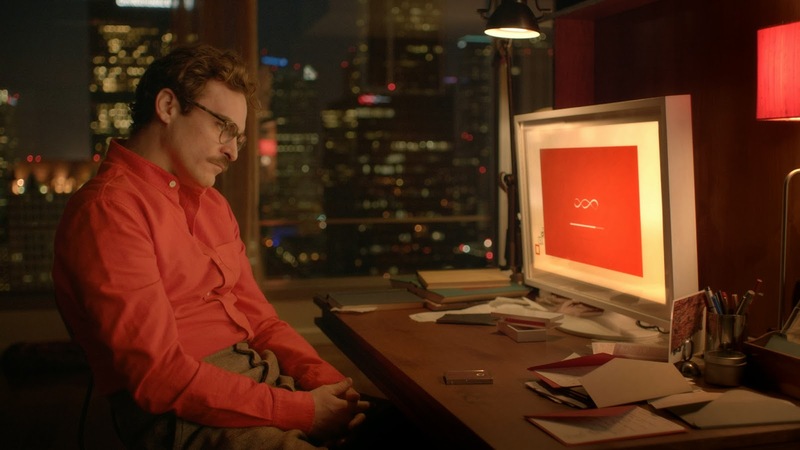 Spike Jonze crafts the film and treats it fantastically enough only to add to its engrossment value. Joaquin Phoenix’s performance is incredible. There is something about the ease with which one can perceive the World Jonze creates for us. The film is gorgeously shot and every frame is vibrant and unexplainably attractive. With the growing intensity of Theo’s relationship with Samantha, the strangeness of the plot ceases to get to you and disconnect you, which would be something most would be afraid of. The love story is entirely non conventional (obviously) but does lag a little bit here and there. And well, the humour works. It works well but, its still not an out and out ‘rom com’ as many are referring to it as on the web. It may be, partly. Despite of its strangeness, for a reason quite out of explainable bounds, you connect and relate to what you are watching well enough to let the story affect you, impact you and to move you. There are such scenes in the film for which you might just question yourself as to why you got so engrossed into, after the watching the movie. That, in some sense, is a power that this film possesses. Somewhere, Her makes interesting statements about how things could be in the future, especially at the rate at which the World is going, dependance on computer based devices and the like. Such statements aren’t rubbed in the face at any point. It is out there for you to infer, said unconsciously. Or it could just be taken as a concept futuristic piece of cinema, not having to contemplate about how true it holds for what is coming towards us in the future. The relationship between these two perceptions or opinions in itself is something that is hard to pull off for a writer and is one of the best qualities of the film. With Her, you take what you have been given, you buy what you have been given, you don’t question and you live the journey. Her is, certainly, one of the best pictures to come out of Hollywood in the last year. You do not want to miss this experience. This journey. I give the film 4 out of 5 stars.